Burgundy red with red and white petaloids intermingled with yellow stamens. 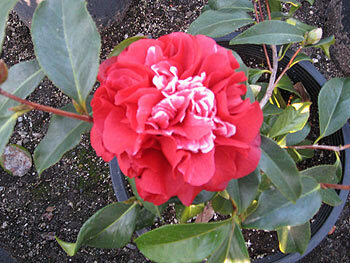 Medium to large, semi-double to loose peony form. M.